Philipp Preuner, project manager and assistant to the executives at HafenCity Hamburg GmbH, joins us on Friday 29 June to talk about the extraordinary development of HafenCity in Hamburg. HafenCity – currently Europe’s largest inner-city development project – is a blueprint for the development of a European city on the waterfront. A lively city with a maritime air is taking shape, bringing together workplace and residential uses, culture and leisure, tourism and retail facilities – quite unlike downtowns dominated by nothing but offices and shops. But this was not always so. Like most industrial port cities, Hamburg turned its back on its waterfront until the end of the 20th century. With the fall of communism and the inner-German border, Hamburg gained the opportunity to have a port catchment area far into Eastern Europe and to grow dynamically in other areas of the city. And so in 1997, the local government decided to incorporate the waterfront into the Hamburg cityscape by developing 157 hectares of port space into an innovative inner-city expansion called HafenCity, but also to expand and modernise port activities. Altogether more than 2.4m sqm of gross floor area (GFA) is to be constructed. Nearly 7,500 residential units for over 15,000 residents are being built, as well as business premises offering in excess of 45,000 job opportunities, plus educational institutions, with parks, plazas and promenades. The total investment volume for HafenCity development is estimated today at €10bn of private capital and €3bn of public capital, mainly generated through land sales. What sets it apart from other major international urban waterside development projects is the area’s very central location and the high expectations of quality reflected, for instance, in its fine-grained mix of uses, standards of urbanity and ecological sustainability, and its innovative development process. 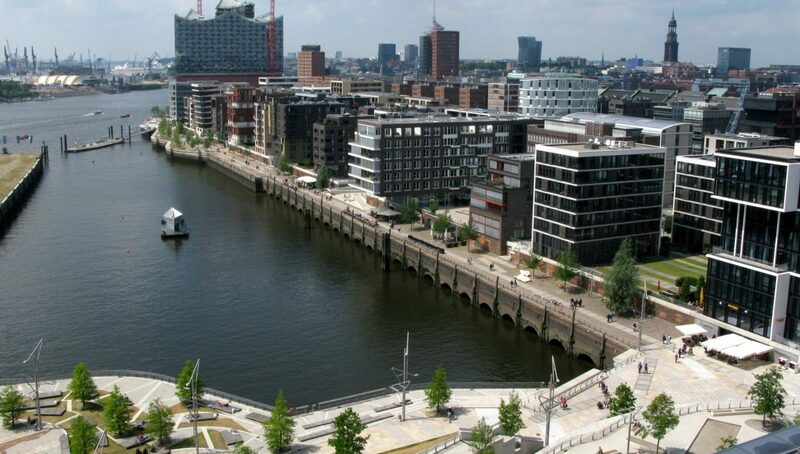 The intensive interaction between land and water can also be regarded as unique, for HafenCity is neither surrounded by dikes, nor cut off from the water. With the exception of the quays and promenades, the whole area will be raised to between eight and nine metres above sea level. The concept of building on artificial compacted mounds (warfts) lends an area once dominated by port and industrial uses a new, characteristic topography, retaining access to the water and the typical port atmosphere, while guaranteeing protection from floods. The urban planning and architectural reinterpretation of the place, however, centres on established structures. Its milieu is informed by the Speicherstadt, port structures, a few existing buildings and, importantly, its horizontal nature and the visual axes of the inner city. 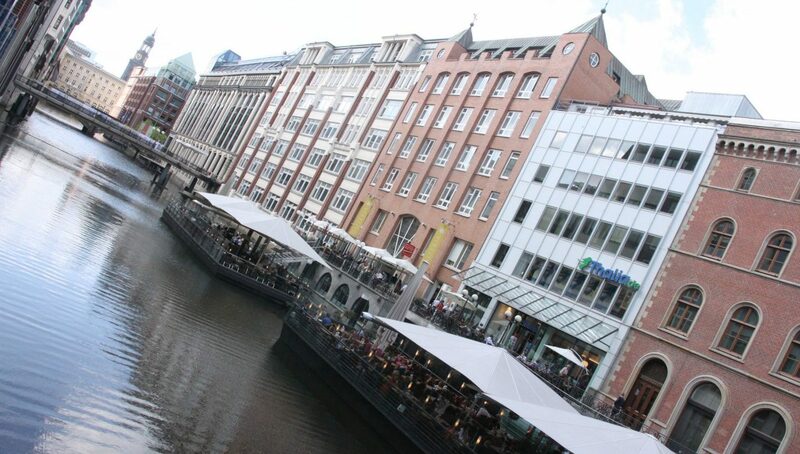 The use of red clinker brick opposite the Speicherstadt and in the centre of HafenCity is another defining element. The presentation will give an insight into the evolution of a new downtown during times of rapid urban growth and the integration of housing demand with a sustainable urban land use structure, high quality urban design and innovative infrastructure. While explaining the most important conditions and aims of the project it will touch upon the key instruments and features of the planning process as well as the institutional setting of HafenCity development. Hear Philipp’s talk on Friday 29 June 2018.